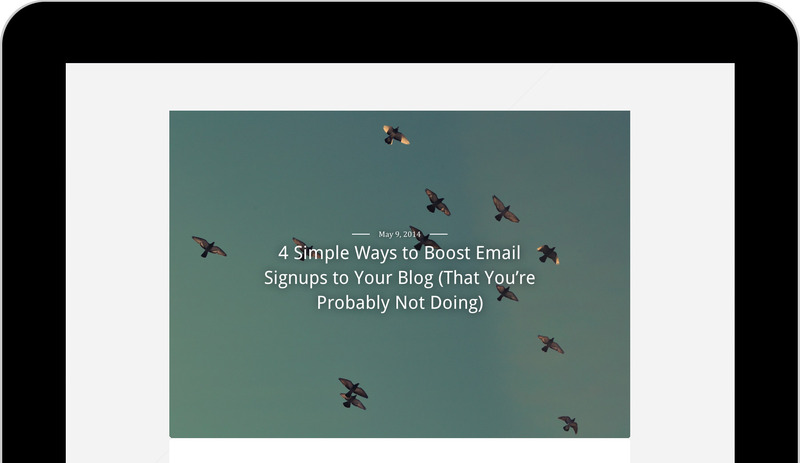 Written by Matty Cohen on July 17, 2014 Blog, Product news. Here at Woo, we’re a creative family. Whether working on a creative new offering as a team, or out exploring our individual hobbies (we have photographers, musicians, artists and more within the WooTeam, creativity is what drives us. Today, we’re excited to share with you a project we’ve had on our roadmap for several months. 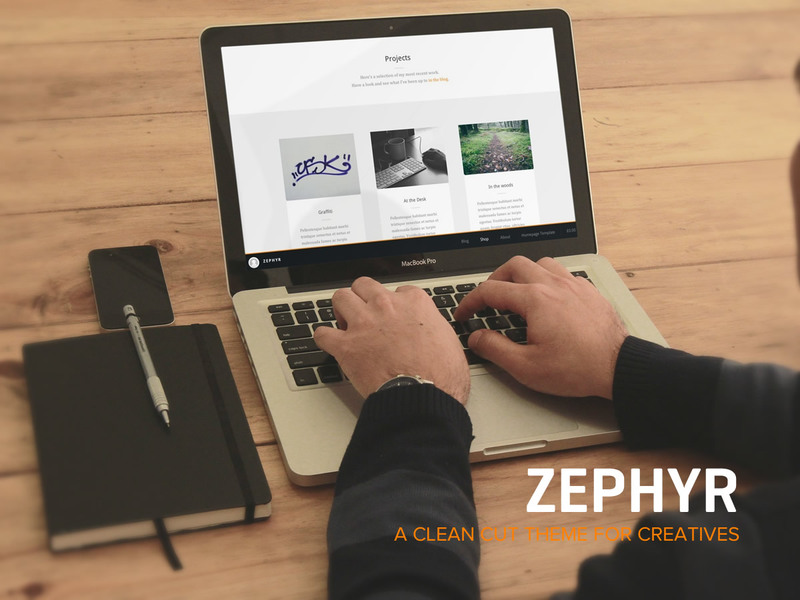 Ladies and gentlemen, hobby-ists and creatives, meet Zephyr, our latest creative outlet for WordPress. Zephyr’s chief responsibility is showcasing you and your work. With it’s integration with our free Projects plugin, Zephyr showcases your work right on your homepage, and then gets out of the way and lets your creativity shine. The name “Zephyr” stems from two sources, which align tightly with the theme’s goals. A well known New York-based graffiti artist is inspiration for this theme as he is a respected elder in the graffiti community, which is a community about self-expression. A zephyr is also a soft and gentle breeze. This inspires the theme in that it reminds the theme that showcasing the owner’s portfolio of work, and getting out of the way (much like a gentle and pleasant breeze) is paramount to this theme’s approach. Designed, and developed, by our very own James Koster (a serial creator), Zephyr is ready to be shaped and crafted as desired with a few small tweaks in a child theme. With such a beautiful and clean showcase of your work, we’d like to assist you in taking your creativity one step further, and showcasing your offering to the world. Zephyr integrates online store functionality, powered by WooCommerce to help you to sell your creative wares to the world. The entire WooCommerce extensions library is also at your disposal to take your online store to the next level. As long as you have creative inspiration, Zephyr can be put to work for you. To illustrate this, we’ve set up a demo website to showcase Zephyr and to show off just how easy it is to get up and running with next to no effort. We look forward to seeing what you all create using Zephyr, Projects, WooCommerce and any number of our wonderful WooCommerce extensions and exciting free plugins. Grab this theme with 25% off, until 24th July 2014. Just use ZEPHYR25 as your coupon code on checkout. Demo redirects to default Canvas..
Demo redirects to canvas, and doesn’t appear in my downloads page. The demo should now be active. If it isn’t active for you, please try clearing your browser cache as well. I remember the days when WOO comes out with the perfect robust theme every mont and comes with the at least 3 WooCommerce plugins every Thursday. Woo es now a plugin store, with any interest on innovate in themes anymore, it’s too clear with this year: 2 themes, ugly and useless themes. I have send messages to ask innovation on themes and always I receive same answer: themes are not artworks as Van Gogh, are the same on all things: a image and content. a shame for who we are suscribers. The Demo link was going to the Canvas theme! For the desktop, why is the main navigation in the footer with no navigation at the top of the page? Is there some new usability study I’ve not seen that led to this decision?